A Native American (Lenni-Lenape?) peers out on the pop up park at Eakin’s Oval at the base of the Washington Monument. 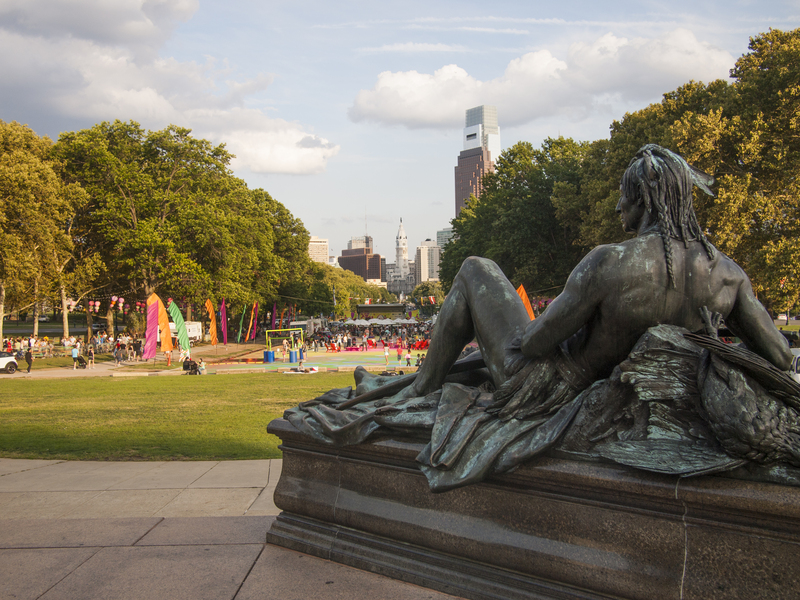 The fountain, created in 1897, once lived in West Fairmount Park, 15 August 2014. 01 Sep	This entry was published on September 1, 2014 at 7:44 am and is filed under Fairmount/Art Museum. Bookmark the permalink. Follow any comments here with the RSS feed for this post.